Nieuwboer, C.C. (2017). Redesigning civic education with a participatory lifespan approach. The IDEAL-project. 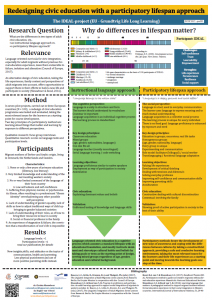 Conference Poster European Conference on Developmental Pyschology 2018.